Imagine avoiding the hassle of selling a piece of property, with no worry about getting a fair price and at the same time realizing valuable income and estate tax deductions. 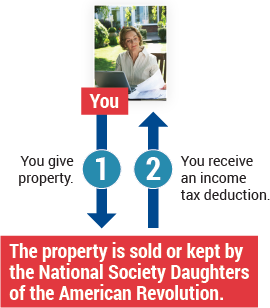 This can be your reality when you consider using real estate to make a charitable gift to the the National Society Daughters of the American Revolution. The most straightforward way to make a gift of real estate is direct donation of your property. You can also place your property in a trust or give it to NSDAR through your will. Consult your tax advisor for more information on the financial benefits of these options. Donating a home or other piece of real estate eliminates the capital gains tax that would be owed if you were to sell it. You obtain an income tax charitable deduction equal to the property's full fair market value. This deduction reduces the cost of making your gift and frees cash that otherwise would have been used to pay taxes. You eliminate capital gains tax on the property's appreciation. The transfer is not subject to the gift tax, and the gift reduces your future taxable estate. 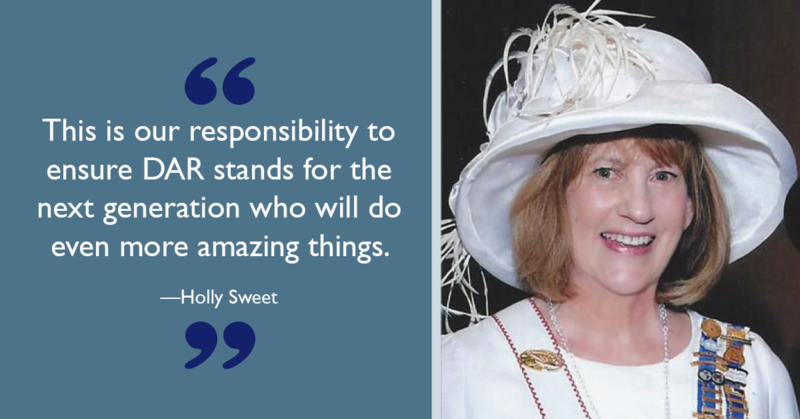 Contact the Office of Development at (800) 449-1776 or giftplanning@dar.org for additional information about donating real estate to NSDAR. We are happy to help, without obligation.